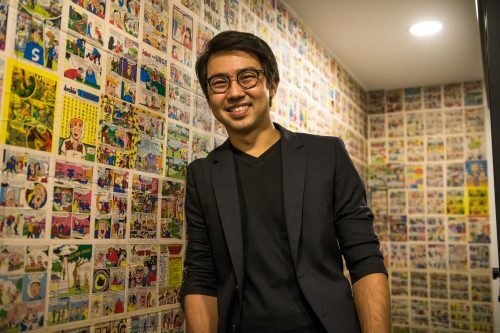 Level Up, the retro arcade bar at Clarke Quay has introduced “Family Day” every Sunday. 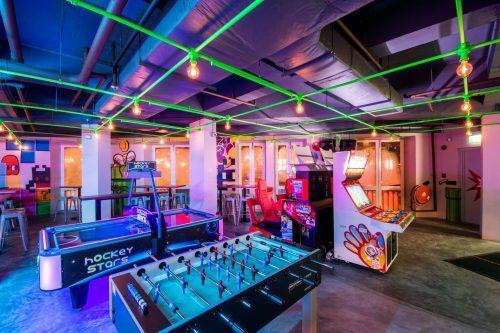 The latest addition to Level Up’s line-up includes tailored activities for kids including retro table games such as Crocodile Dentist, Fishing, Connect Four, pick up sticks, five stones and tic tac toe. Looking for a place where you can entertain your little ones while you grab a pint or 2, look no further. 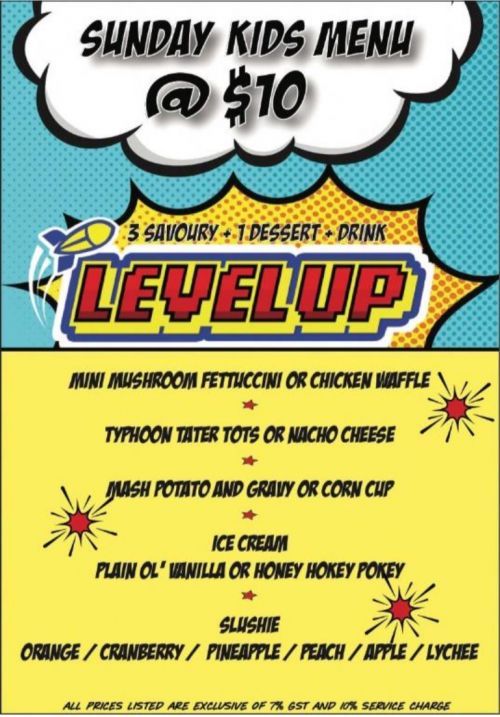 Level Up combines a casual arcade bar paired with table games and live music in a comfortable and relaxing setting, that is ideal for after-work drinks with colleagues and hangout sessions with friends alike. 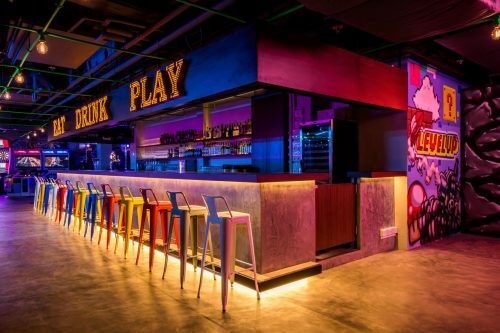 The unique lifestyle venue has a wide array of retro arcade games and drinking games with live entertainment from key local musicians including Wayne and Wayne and Khim Ng, Level Up was conceived as a destination that eighties and nineties babies would resonate with, while millennials could still fit in seamlessly. Street Fighter, Bishi Bashi, Time Crisis, Outrun and even a UFO Catcher, to offer something for everyone. Tokens, obtained when beverages are ordered or purchased individually; are used to operate these games. Sundays will now see the venue transforming into a family-friendly establishment where kids are welcome. A special kids’ menu has been designed for Sundays, offering three savouries, a dessert and free-flow slushies for SGD 10.